Karen K Luken, MS, FNP-C, ARNP-C received her Bachelor of Science in Nursing from Drake University in 1997. She completed her Master of Science degree from Creighton University in 1999. She is certified by the American Nurses Credentialing Center (ANCC) and American Academy of Nurse Practitioners (AANP). She is a member of the American Gastroenterology Association (AGA) and American College of Gastroenterology (ACG). She is a past member of American Association for the Study of Liver Disease (AASLD). 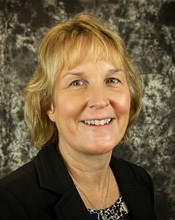 In her professional career, Karen has worked at the VA Medical Center in Des Moines Iowa as the manager of the ICU. In 1999 she worked as a NP in the ER and Hospitalist program at Mercy Medical Center in Mason City, Iowa. In 2000 she worked as a Nurse Practitioner in Hepatology at VA Medical Center in Kansas City Missouri. From 2005 until 2015 she cared for patients with Gastrointestinal and Liver diseases at Gastrointestinal Associates in Overland Park, Kansas. She has been the past chair of the AASLD Associates committee and a member of the educational committee. She is a co-founder of a Hepatitis C support group in Kansas City. Karen is originally from Iowa and enjoys running, reading and cooking.